Grows with your child! This chopper-style trike has an easy-adjust frame that expands as your child grows. The frame is made of steel for lasting use. The front wheel features performance grip Traction Tread to hug the road and prevent the wheel from slipping or spinning out. Plus, it has a fun storage bin for taking stuffed animals and toys on the ride. 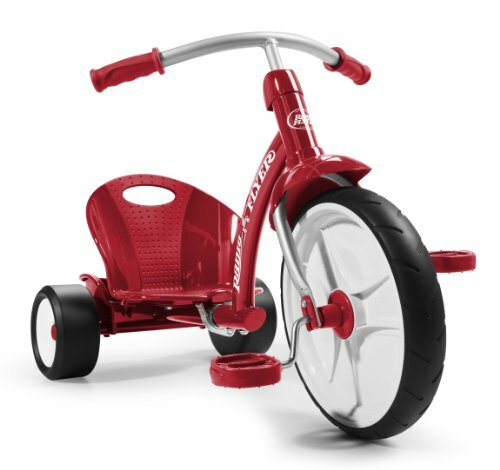 If you have any questions about this product by Radio Flyer, contact us by completing and submitting the form below. If you are looking for a specif part number, please include it with your message. Peppa Pig Pinwheel Bike, 12"
Nickelodeon Paw Patrol Boy' Bicycle, Blue, 16"